Missing teeth are a problem. Not only does the absence of a tooth affect your appearance, it also impacts the foundation of your smile. If you’re missing a tooth or teeth, you will one day battle a shrinking jaw and the side effect of looking older than you are. Dental implants are a permanent and natural-looking solution, giving you a complete and healthy smile. Dental implants can replace any missing tooth permanently. Whether you’re missing a tooth already, or whether you’re looking at a tooth extraction in the near future, a dental implant ensures that the functionality of your smile is well established. By replacing the all-important tooth root that is lost when a tooth is lost, an implant supports and stimulates the jawbone. The abutment of the implant creates a place for a prosthetic tooth to be attached, completing your smile. Dental implants are not one-size-fits-all. Each prosthetic tooth is customized to blend with your natural teeth so the replacement tooth looks like it has always been part of your smile in shape, size, and color. The implants function as natural teeth and should be cleaned and flossed normally. Recipients of implants can eat whatever they please without worrying about damaging their restorative dental work. The dental implant procedure is considered an oral surgery. While there are two main components to placing an implant, there several preparations that you may need to undergo first. If a tooth has been newly extracted, the site needs to heal properly first before an implant can be put in place. Likewise, for patients who have undergone gum disease therapy, the gums and mouth need time to heal before you can undergo any advanced dental procedures. When your mouth is in good condition, it is ready for the dental implant. The anchor of the dental implant is the small, man-made root that will be implanted in the jawbone, taking the place of the missing tooth root. After the surgery site has healed properly and your cosmetic dentist is satisfied that the implant is securely in place and your jawbone has adapted to the implant, a custom-made, artificial tooth is attached to a post inserted in the implant. In some cases, the post can be put in place at the time of the dental implant surgery. While this procedure may sound like it will leave a patient feeling like their mouth is full of dental repairs, the reality is quite the opposite. A dental implant becomes part of your smile immediately, and simply works the way a natural tooth is supposed to work – without much thought at all. Restored functionality: Bite, chew, and speak with confidence. Better oral health: Neighboring teeth are not disturbed by the dental implant procedure. And it’s easy to maintain a good brushing and flossing routine with implants. Improved appearance: Look younger with a jaw that is properly supported and facial tissues that are enhanced. Avoid a sagging or hollow appearance. Stronger adjacent teeth: Having one missing tooth puts you in danger of losing other teeth because they are more likely to shift to make up for the open space. Better health overall: Choose freely from a menu of chewy or crunchy foods. No more sticking to soft starches alone. Do your body good by adding veggies and fruits and proteins to the mix. Enviable confidence: Self-conscious no more. A complete smile makes you look better, and you will know it and exude it. Only your dentist at Chester Hill Dentistry knows for sure if you are a candidate for dental implants, and this determination will be made after a thorough assessment. All restorative dentistry options will be presented to you, so that you can decide what will work best for your lifestyle and budget. Dentures are also a viable option for replacing missing teeth. But there are major differences between dentures and implants that may make them less desirable. Dental implants do not require adhesives or special cleaning, they look natural, are completely reliable, and aren’t the least bit noticeable or uncomfortable. Dentures are quite the opposite, and they can sometimes fail you at the most important moments. Dental implants are a permanent, durable alternative to dentures and, with proper care, can last a lifetime. Plus, age is not a factor when it comes to determining who should receive dental implants. 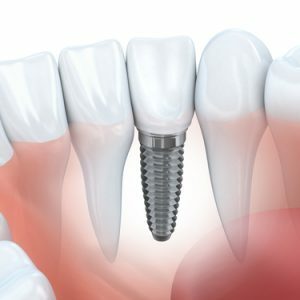 Young and old alike have been able to reap the benefits of dental implants. If you are seeking a way to replace your missing teeth, it’s time to learn more about this innovative advanced dentistry solution from Dr. Chi Fu. Contact our office to schedule an appointment. We proudly serve the residents of Rye, Westchester, Rye Brook, Port Chester, and surrounding areas, including Greenwich, CT.